By her own account, Raquel grew up in a traditional American family with a mom, a dad, and 2.5 kids. Both of her parents had advanced degrees. Raquel attended charter schools as a teenager and then completed her bachelor’s degree at UGA. Raised Catholic, she attended church every weekend where her parents were both Sunday school teachers. “In a lot of ways, it was that ‘Cosby Show’ Huxtable idea come true,” Raquel said. But as a child, Raquel remembers feeling different. 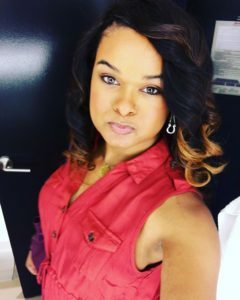 She is transgender and has been living openly for several years now as the woman she is. But at the time, she didn’t have the language to define what she was feeling. All she knew for sure was that she felt unable to “live up to” the cisheteronormative standards that were set for her. Raquel was bullied a lot as a child—both at school, and among neighborhood kids. “I got all kind of things said to me about being a sissy or being gay,” Raquel said. She remembers one incident vividly. She was about ten years old and even though her long-term neighborhood friends never really gave her a hard time, one day a new boy joined the group. He quickly became the group leader—someone who called the shots and was never challenged. Raquel said she’ll never forget that moment. For her it was a moment of empowerment—she had never really stuck up for herself. But it was also a moment that set the tone for the rest of her life. Four years later, Raquel told her family she was gay. And Raquel was right. After she came out at school, the bullying stopped and her peers began to accept her for who she was. Her parents had a harder time coming to terms with her sexuality. But Raquel said that once they realized she wasn’t going to back down about who she was, they were able to move beyond their discomfort and unfamiliarity and forge a healthy relationship. For Raquel, coming out as gay was a huge weight off. Until then, she felt as though she was keeping a big, bad secret and had to calculate her every move to be sure no one found her out. But even after she came out as gay something still didn’t feel right. It wasn’t until she started attending the University of Georgia that she developed the vocabulary for what she was feeling and began to question her gender identity. She got her name changed to Raquel and started using female pronouns. Even though she was confident and proud of her decision—transitioning was incredibly isolating. Raquel was one of only a handful of Black LGBTQ people who were living openly in the conservative and predominantly white college UGA campus. And she was one of two transgender women, the other of whom was a professor. “I transitioned in front of the entire campus,” Raquel recalled. “Knowing what I know now, it was one of those moments of ignorance is bliss. 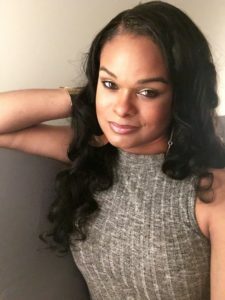 I didn’t have any Black trans folks around me, or trans folks in general, or trans women—I didn’t know how many risks I was taking and how risky it was to be openly trans at that point. Raquel had to blaze her own path without many role models—but that only fueled her desire to build a support system to students who came after her. As Executive Director of the LGBTQ school group, Raquel was driven to create a safe space for younger incoming students who were questioning their gender identity to do so in a healthy way. Raquel is the first person to say if you don’t understand someone’s sexuality or gender identity—it’s ok, that’s normal. Her advice? 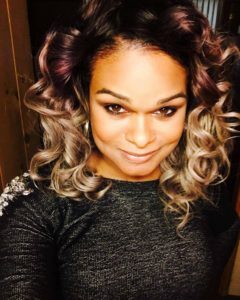 Raquel is a transgender woman living and working in Atlanta. She writes for BuzzFeed and her story has been featured on the New York Times, the AJC, and WABE as covered by the Georgia Voice. You can read her personal blog here.